I first encountered this affordable stand-mount at my friend Sphere's house. When he played Miles Davis's In a Silent Way (LP, Columbia CS 9875), I noticed all these formerly obscure musical happenings that made me love Herbie Hancock more than I used to. With the Klipsch two-ways, Hancock's Fender Rhodes piano emerged from producer Teo Macero's mix in a pronounced, über-electrified way. Every note felt statically charged. At one point I saw Miles, who'd introduced Hancock to the Rhodes, motioning to him, drawing him out, begging for more keyboard. Hancock's notes revved and floated effortlessly, like orbs of light. My eyes followed his handsthey seemed lifelike, and at their proper height above the floor. Sphere's room is bigat least 35' by 25', with 10' ceilings. 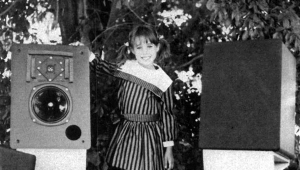 He'd set up the RP-600Ms about 8' apart and 10' from the wall behind them. The next day, I contacted Klipsch. 1925: Chester Rice and E.W. 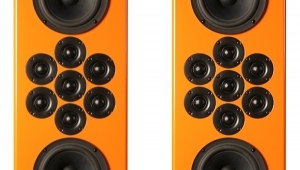 Kellogg develop the first direct-radiating dynamic loudspeakers, based on principles that are standard-issue in most speakers made for domestic use today (footnote 1). 1926: First, Victrolas and radios, then motion pictures that talk. To service the emerging business of talkies, two Bell Labs engineers, Edward C. Wente and Albert L. Thuras, develop the Western Electric 555 compression driver: an extremely light, 0.002"-thin, aluminum diaphragm with a corrugated surround and a light, rigid voice-coil. This piston-coil assembly was set within a heavy, high-powered electromagnetic structure and designed to be easily mounted behind a variety of horns. Its bandwidth was about 300Hz5kHz. Unbelievably, this ancient high-tech driver is still being used in many of the world's finest audiophile playback systems. Naked, the WE555 diaphragm looks a lot like a metal-dome tweeter, and almost exactly like the drivers in some of today's best and most expensive headphones. I mention this because, without a horn, these aluminum domes become "dome tweeters" that convert less than 1% of the energy supplied them into acoustic output. With a horn attached, the WE555 converts more than 20% (footnote 2). Horn loading accomplishes two things. First, a horn's restricted throat mechanically loads the dome (or cone). This restrictive loading creates a region of high pressure that a horn whose flare is of a certain length and rate of expansion can effectively convert to a large, pulsing wavefront at normal atmospheric pressure. This elegant form of tuned acoustic impedance matching not only makes a horn speaker more sensitive to voltage, it reduces the amount of diaphragm excursion required to produce a given sound-pressure level (SPL), thereby linearizing the system and reducing distortion. 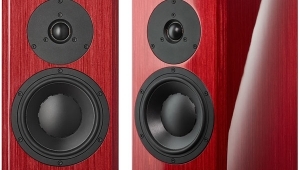 Within their designated passbands, horns can be incredibly linear and low-distortionespecially at very low and very high SPLs, where conventional direct-radiating speakers compress and distort. 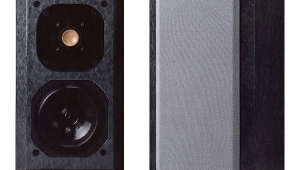 1946: Paul W. Klipsch founds Klipsch and Associates, and patents his design for the famous Klipschorn corner loudspeaker. This original design, along with Peter Walker's original Quad electrostatic loudspeaker (1957), marked the beginnings of high-fidelity home audio as we know it today. The illustrious Quad ESL was discontinued in 1985. At the Klipsch factory in Hope, Arkansas, the legendary Klipschorn is still being manufactured, 73 years after its launch. 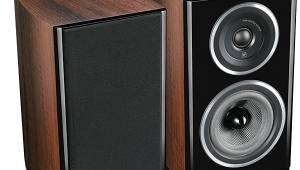 The Reference Premiere RP-600M is Klipsch's flagship stand-mounted speaker model. It's small, at 15.7" high by 8" wide by 11.9" deep, and the pair of them fit my Sound Anchor Custom Signature stands (24" H by 8" W by 12" D) as if speakers and stands had been designed for each other. The RP-600M's "Linear Travel Suspension" vented tweeter is built around a 1" titanium diaphragm, loaded by a hybrid Tractrix horn whose mouth measures 5.75" by 5.75". The tweeter horn's first expansion is circular and seems made of hard plastic; its second expansion is made of a soft, rubber-like material. The tweeter is crossed over at 1.5kHz to a direct-radiating, 6.5" Spun Copper Cerametallic woofer with a rear-firing port with a flared, Tractrix profile. When I tapped the RP-600M's enclosure with a knuckle, it sounded like a thinnish (15mm) particleboard drum with minimum internal bracing. My review samples were covered in a black ash vinyl that felt extremely durable and solidly applied. 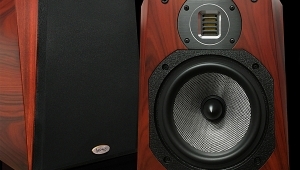 The RP-600M's sensitivity is specified as an extraordinarily high 96dB/W/m, its frequency response as 45Hz25kHz, ±3dB. Getting the RP-600Ms to serve up their full menu of pleasures required positioning them with care. 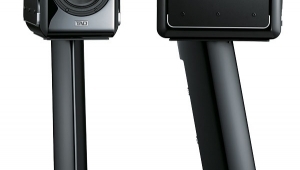 The speakers' off-axis response delivered a sweet spot at least two people wide, and generated satisfying instrumental tone everywhere in my room. At 10' from the front wall in Sphere's room, the RP-600Ms' tonal character leaned toward lean, but so what? They made a mile-deep soundstage. In my room, moving them 3' from the front wall reduced soundstage depth by at least 50%, but the bass and lower midrange were fullermore to my liking. I also discovered that each inch I moved them farther from or closer to the front wall changed their tonal balance. With the Klipsches only 66" apart and 75" from my ears, their front baffles precisely 29" from the wall behind them, and no toe-in, the weight and timbre of Alexander Melnikov's piano as he performed Book 2 of Debussy's Préludes (24-bit/96kHz FLAC, Harmonia Mundi/Qobuz) was just right for me. I also noticed that when properly Blu-Tacked in place, the Klipsch boxes seemed to merge with my heavy, 24"-high, four-poster Sound Anchor Custom Signature stands. I have zero doubt that these heavy stands positively contributed to the quality of sound I achieved. 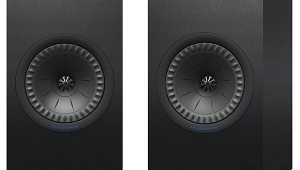 I had a slight preference for the sound of the RP-600Ms with their magnetically attached grilles in place, but my review observations were made without grilles. Listening to soprano Elly Ameling sing J.S. Bach's Cantatas 51 and 199, with the German Bach Soloists under the direction of Helmut Winschermann (LP, Philips LP 6500 014), I noticed how visceral and dynamic a human voice can be. With my First Watt SIT-3 power amplifier (18Wpc) driving the Klipsch RP-600Ms, the sound of Ameling's voice was vibrantly present in the roomI repeat, vibrantly present, physically clear, and beautiful to behold. The only indication that I was listening to her through budget speakers was a moderate lack of soundstage width, and some decreasing imaging focus, as my attention wavered from the left to right of the stage. Footnote 1: Mix Staff, "1925: Chester Rice & Edward Kellogg, General Electric Co. Modern Dynamic Loudspeaker." Mix, September 1, 2007. Footnote 2: Eberhard Sengpiel, "Loudspeaker Efficiency versus Sensitivity." ...I've got one of them too. 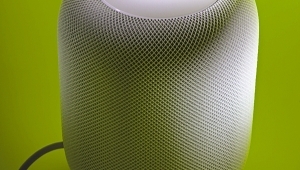 A very odd review of an unpleasant speaker. Did you spend your money on another speaker and now you jealous? ... does JA1 give any consideration to using the same (type) of amplifier(s) as used by the reviewer that made the sonic assessment? It would be interesting to see if there was a significant difference in frequency response when the speaker was driven by the tube-type EleKit TU-8600R as compared to when it was driven by the solid-state First Watt SIT-3. The review tracks to my own listening, almost went with RP-600M but wanted to try the LS50 as my last listening room set were Klipsch. I really enjoy the LS50 too. When I first tried Klipsch's bookshelves way back when (62i or something), the seller told me they'd be 12db louder at my seating position given same amp level. I did an A/B with sound pressure meter and he was off by 1db. Its crazy how little power Klipsch's need. 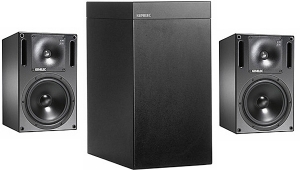 I'm thinking about a PowerNode 2i and RP-600M for the bedroom, probably be all one needs in a small room. 3) less than they usually sound. I think I'm reading Mr. HR is say'n their performance is commensurate with his system making them an Audiophile Bargain. These things are Chinese, dammit. I called the Klipsch Factory in Hope, they answered the Phone ! Can I call the Klipsch Factory in Mainland China ? 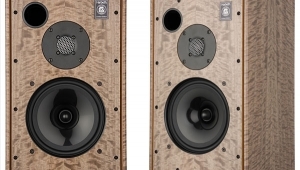 There are 2 Klipsch Factories, one makes throwaway loudspeakers , one makes Legacy Hardwood Loudspeakers. The Klipsch technology is Scaleable. ps. Oh Hell, while we're at it, lets make all our pricy gear in China. dcs China gear, Audio Research China, VPI Turntables from China. Two words in this article sum up my usual impression of Klipsch, "glared" and "hardness". 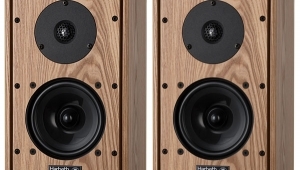 As someone who's slagged Stereophile for constantly reviewing products that are well beyond the means of a typical household, it's great to see a very positive review of a speaker that the average household can certainly afford. Bravo! I encourage you to devote page count to one (or more) products like this in each issue. 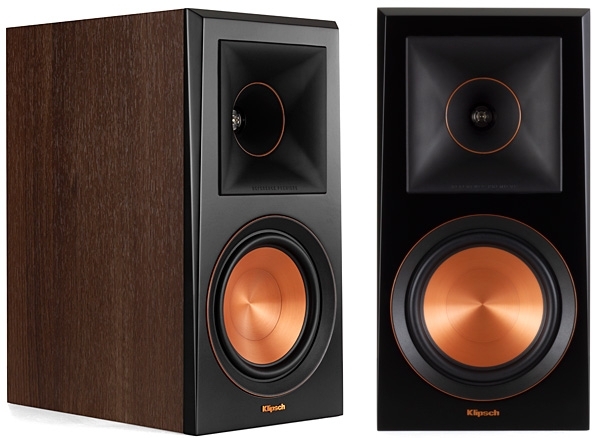 I expect that some audio snobs and Klipsch haters will make sure to tell you how wrong you are in the comments which, to my way of thinking, is a clear indication you're providing stimulus EXACTLY where its needed most. 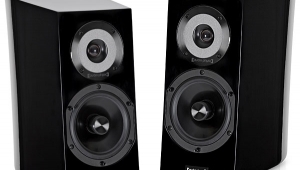 Except all we know is that the reviewer liked them when used with equipment the typical buyer would never come close to using with these speakers. 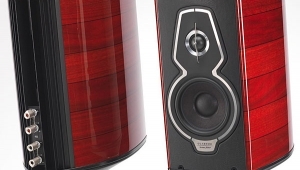 "What other speaker manufacturer has continuously manufactured the same flagship model for 73 years? What other speaker maker has three anechoic chambers, one engineered specifically for measuring the compression drivers of horns? 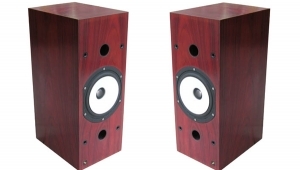 What other speaker maker would sell a "Reference Premiere" model for only $549/pair?" The above has absolutely no business being in a legitimate review. It reads like the spiel of a bad salesman. "Reference Premier" indeed, it is just as easy to put that moniker on a product as "The best we could do for the money". Are we to start evaluating speakers by how many anechoic chambers the manufacturer has. If this is an example of the kind of blatant favoritism JA is now willing to accept, I am no longer saddened by his departure as Editor in Chief.